MDing for VAMP at MCL Chicago, 2015.
improvising and keeping the show going! 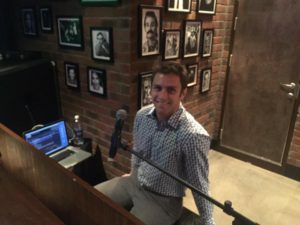 Working for Second City aboard the Norwegian Breakaway, 2017. I’ve worked for The Second City aboard two Norwegian Cruise Line ships performing improv and sketch, and I also teach at the Second City Training Center in Chicago. I also work all around other Chicago theatres, and quite a bit in New Zealand and Australia. 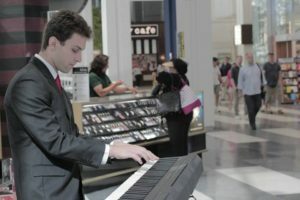 Promoting Hitch*cocktails at the Ogilvie Transportation Center in Chicago, 2015. 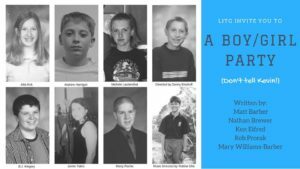 Poster for A Boy/Girl Party, a 2017 sketch show by Legends in the Game. 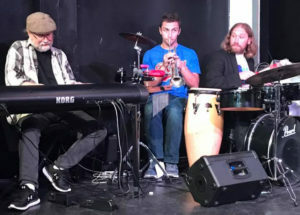 I teach musical skills for improv and sketch at the Second City Training Center and the Chicago School of Professional Improvisation. 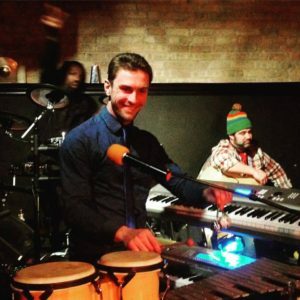 I’m also a Composer and Teaching Artist in Chicago Opera Theater‘s education program. 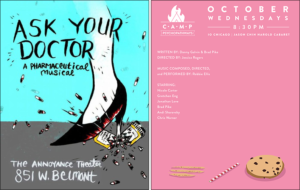 Two 2016 musicals: Ask Your Doctor and Camp Psychopathways. At the 2014 New Zealand Improv Festival in Wellington. 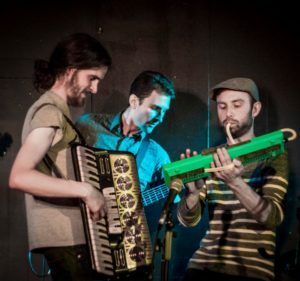 At the 2016 New York Music Improv Festival. I perpetually keep meaning to go back. 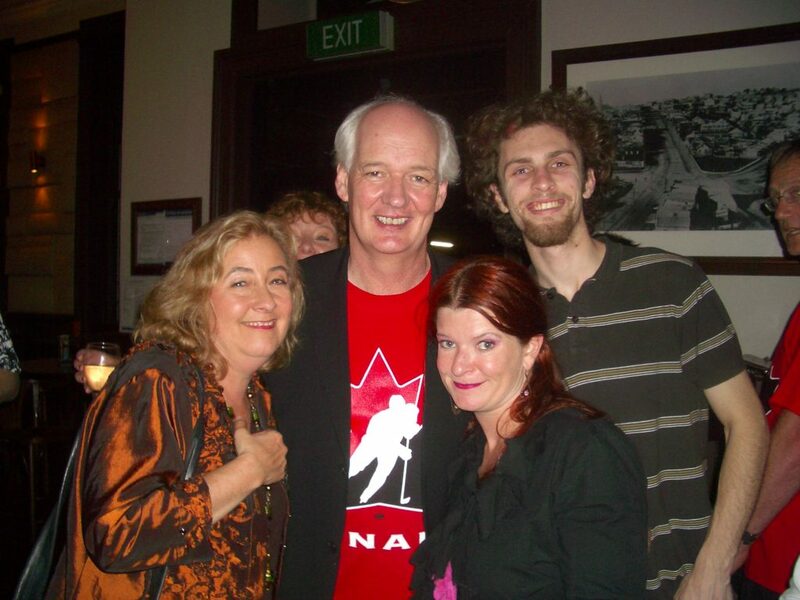 With Lori Dungey, Colin Mochrie and Penny Ashton at ConArtists’ 20th anniversary, Auckland 2007.